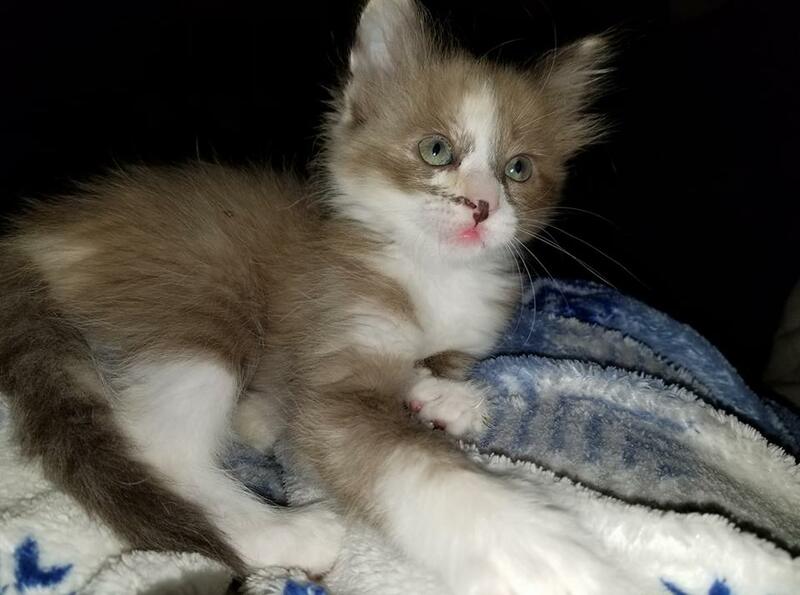 A small to medium-size cat with a graceful, elegant body and a medium to long, silky coat that comes in three patterns—solid, mink, or pointed. Body should be long, ideally twice as long as the cat is tall. Tail is long, ideally equal length to body length. Tail is very full and fluffy from base all the way to the tip. Balance and proportion are of great importance. Mink colors: Body color in the mink colors should be a rich, even, unmarked color, shading almost imperceptibly to a slightly lighter hue on the underparts. There must be a distinct contrast between body color and points. Eye color: Aqua, a definitive characteristic of the mink color pattern. Solid colors: Body color in the solid colors may be a slightly lighter shade of the point color, with very little contrast with points. Eye color: Green to yellow/green. Pointed Colors: Body color in the pointed colors should be off-white, any shading relative to the point color; overall body color should be in marked contrast to the points. 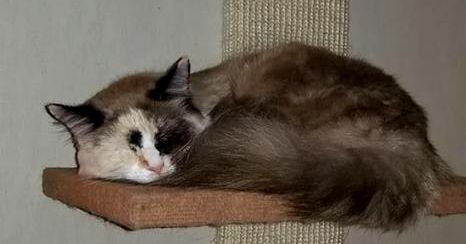 Body Color: Allowance to be made for lighter body color in young cats, and for less contrast in older cats. With the dilute colors in particular, development of full body color may take up to 16 months. Cats do darken with age. Point Color: Mask, ears, feet, and tail all densely marked, but merging gently into body color. Except in kittens, mask and ears should be connected by tracings. Nose leather color should correspond to the intensity of the point color. Bi-Color: Should conform to the established standard for their co-existing pattern, with the addition of white feet, legs, underside, chest and muzzle, including an inverted “V” blaze on the face. Almost round with a sweet expression. Set well apart.